A hormone that is released during exercise may improve brain health and lessen the damage and memory loss that occur during dementia, a new study finds. The study, which was published this month in Nature Medicine, involved mice, but its findings could help to explain how, at a molecular level, exercise protects our brains and possibly preserves memory and thinking skills, even in people whose pasts are fading. Considerable scientific evidence already demonstrates that exercise remodels brains and affects thinking. Researchers have shown in rats and mice that running ramps up the creation of new brain cells in the hippocampus, a portion of the brain devoted to memory formation and storage. Exercise also can improve the health and function of the synapses between neurons there, allowing brain cells to better communicate. 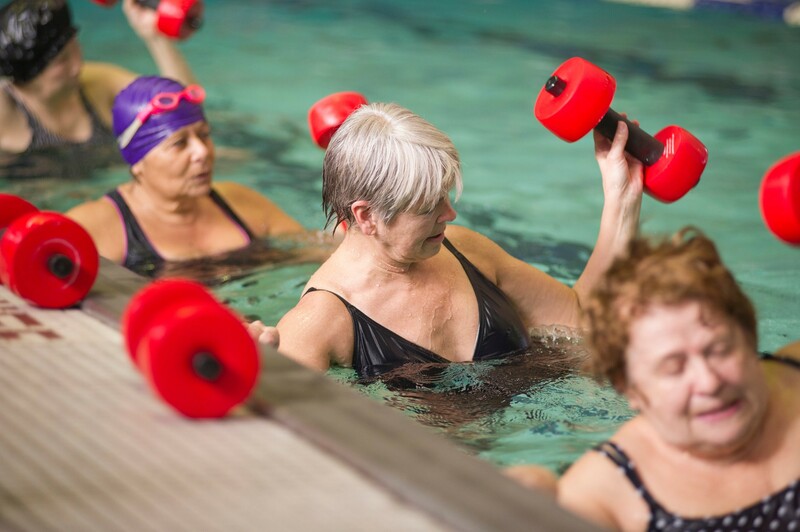 In people, epidemiological research indicates that being physically active reduces the risk for Alzheimer’s disease and other dementias and may also slow disease progression. But many questions remain about just how exercise alters the inner workings of the brain and whether the effects are a result of changes elsewhere in the body that also happen to be good for the brain or whether the changes actually occur within the brain itself. Those issues attracted the attention of an international consortium of scientists — some of them neuroscientists, others cell biologists — all of whom were focused on preventing, treating and understanding Alzheimer’s disease. Those concerns had brought a hormone called irisin into their sphere of interest. Irisin, first identified in 2012 and named for Iris, the gods’ messenger in Greek mythology, is produced by muscles during exercise. The hormone jump-starts multiple biochemical reactions throughout the body, most of them related to energy metabolism. Because Alzheimer’s disease is believed to involve, in part, changes in how brain cells use energy, the scientists reasoned that exercise might be helping to protect brains by increasing levels of irisin there. But if so, they realized, irisin would have to exist in human brains. To see if it did, they gathered tissues from brain banks and, using sophisticated testing, found irisin there. Gene expression patterns in those tissues also suggested that much of this irisin had been created in the brain itself. Levels of the hormone were especially high in the brains of people who were free of dementia when they died, but were barely detectable in the brains of people who had died with Alzheimer’s. Those tests, however, though interesting, could not tell scientists what role irisin might be playing in brains. So the researchers now turned to mice, some healthy and others bred to develop a rodent form of Alzheimer’s. At the same time, they soaked the brains of the healthy animals with a substance that inhibits production of irisin and then pumped in a form of beta amyloid, a protein that clumps together to form plaques in the brains of those with Alzheimer’s. In effect, they gave the mice dementia. And, without any irisin in their brains, the once-healthy mice soon showed signs of worsening memory and poor function in the synapses between neurons in their hippocampus. Finally and perhaps most important, the scientists had healthy mice work out, swimming for an hour almost every day for five weeks. Beforehand, some of the animals also were treated with the substance that blocks irisin production. In the untreated animals, irisin levels in the brain blossomed during the exercise training and later, after the animals’ brains were exposed to beta amyloid, they seemed to fight off its effects, performing significantly better on memory tests than sedentary control mice that likewise had been exposed. Taken as a whole, these experiments suggest that exercise may protect against dementia in part by triggering an increase in the amount of irisin in the brain, says Ottavio Arancio, a professor of pathology and cell biology at Columbia University, who conducted the research along with two dozen colleagues from the Federal University of Rio de Janeiro in Brazil, Queen’s University in Canada and other institutions. But the experiments, although elaborate and multipronged, used mice, and so cannot tell us if exercise and irisin will work similarly in people, or how much and what types of exercise might be best for brain health. The results also do not show whether exercise and irisin can prevent Alzheimer’s, but only that they seem to allay some of the effects of the disease in mice once it begins. The scientists involved in the study hope soon to test a pharmaceutical form of irisin as a treatment for dementia in animals and eventually people, especially those who have lost the ability to exercise, Dr. Arancio says.